↑ "Featured Filmmaker Fransis Ford Copola". ign.com. Retrieved 2017-07-28. 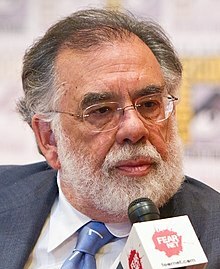 ↑ "Francis Ford Coppola". Retrieved 2017-07-28. ↑ "Directors Hall of Fame, Class of 2010". Retrieved 2017-07-28.